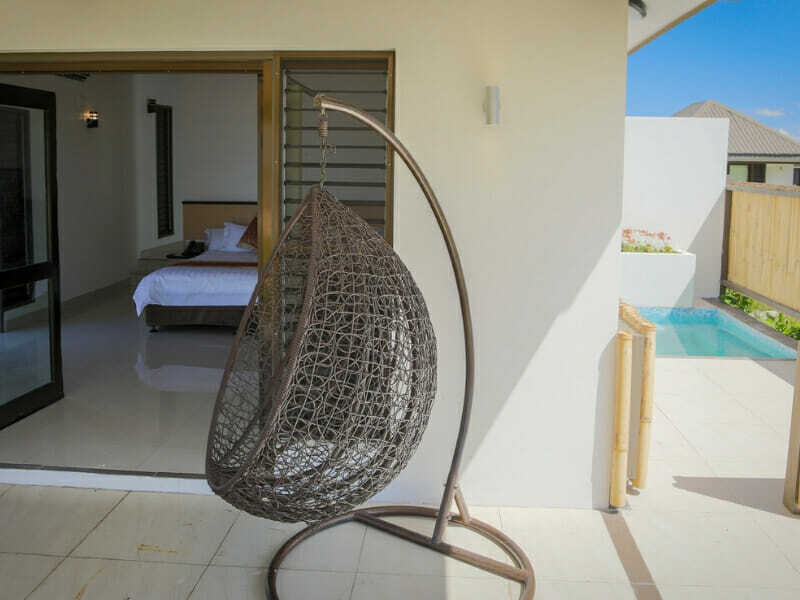 Wake up to views across the tropical resort garden each day, take in the breeze on your private, furnished balcony and indulge in an outdoor shower for something different as you get ready to greet the day! Garden Bures are spacious, luxurious and include WiFi! Complimentary room upgrade from a Deluxe Suite to a Garden Bure is included. Enjoy a delicious buffet breakfast every morning of your stay at the resort’s own Main Restaurant! Be met with a welcome drink and a complimentary 15-minute foot ritual per guest on arrival! 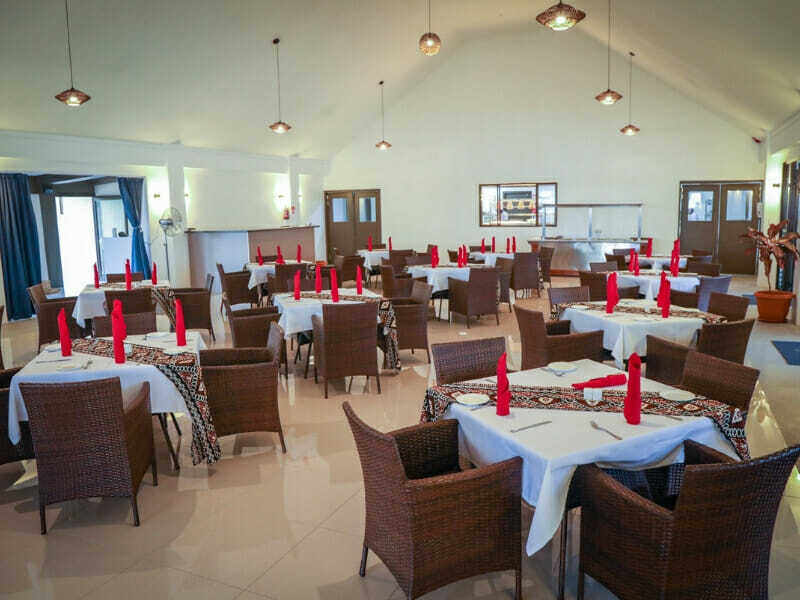 Also enjoy one dinner in Main Restaurant for 2 guests** (food only, 2 course menu)! Live like a local with an invitation to the Manager’s Cocktail Party, as well as complimentary nightly entertainment. This package also includes complimentary WiFi and 2 bottles of water per day! Other travel dates may be available, please speak to your friendly My Fiji Holiday Expert! 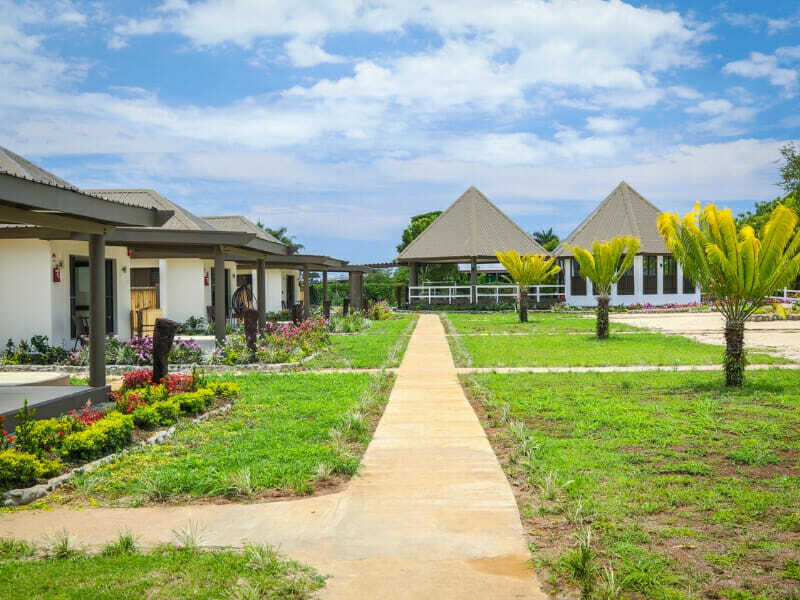 There are 10 delightful Garden Bures at Fiji Hideaway Resort & Spa, Vuda. 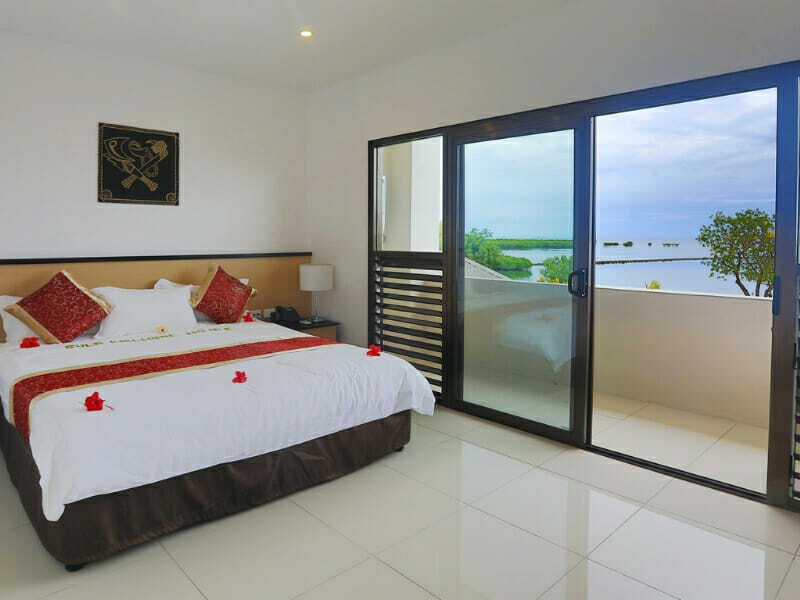 Each contain 1 King or 2 Single beds, high Fijian-style ceilings, air-conditioning, WiFi and more! 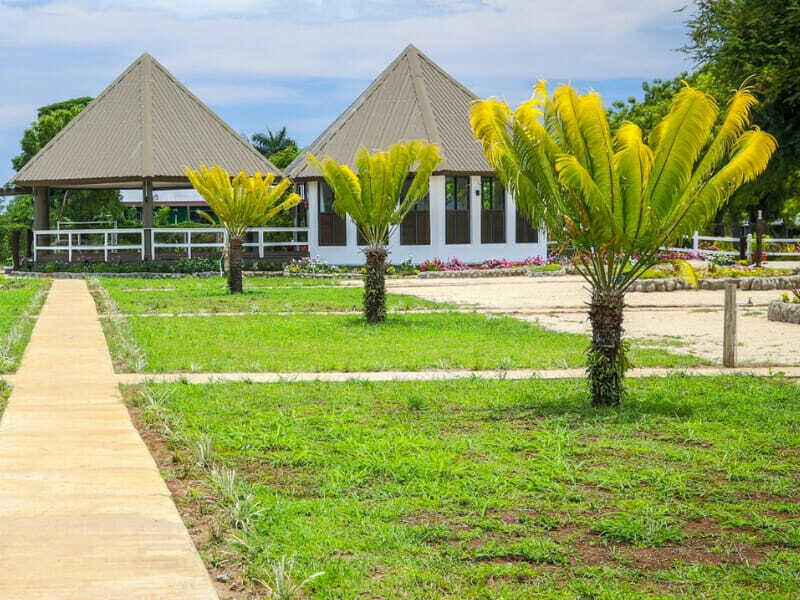 Wake up to views across the tropical resort garden each day, take in the breeze on your private, furnished balcony and indulge in an outdoor shower for something different as you get ready to greet the day! Garden Bures can accommodate up to 2 guests. 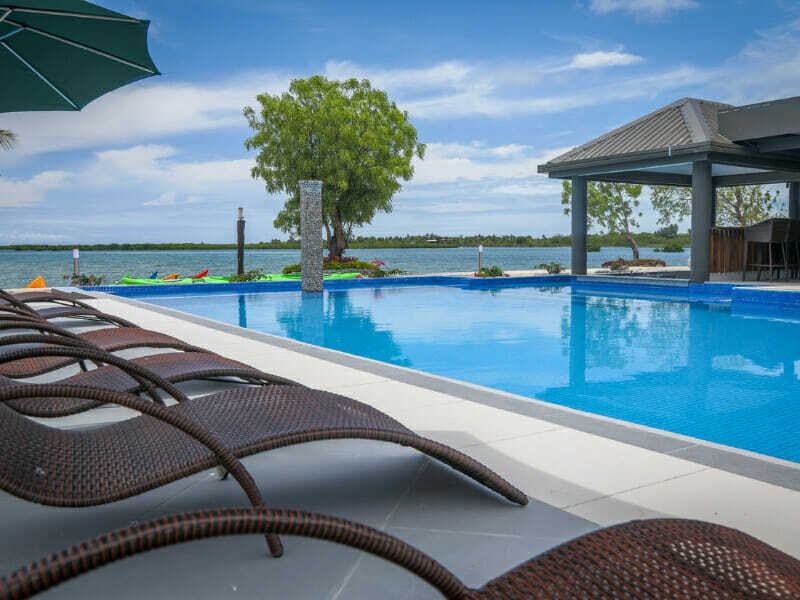 Beachfront Bure – UPGRADE from only $200 per person! 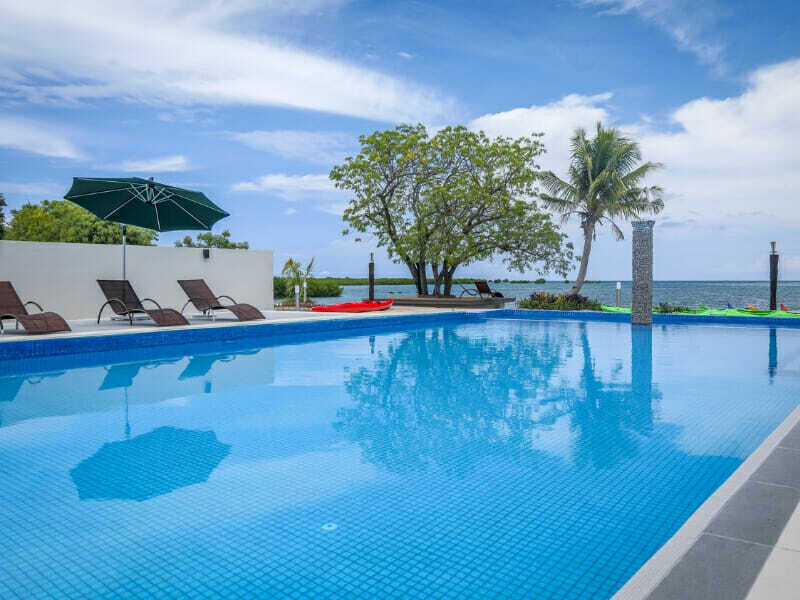 Beach views and your own plunge pool? 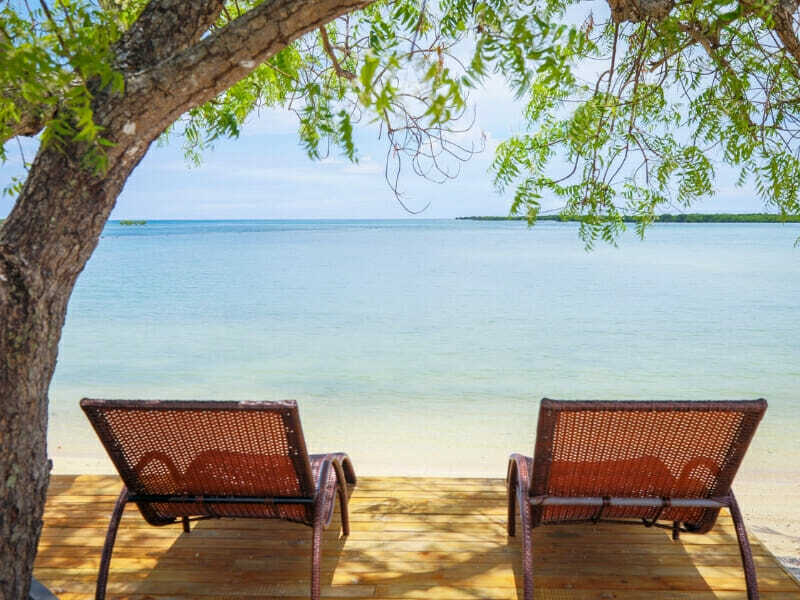 Check-in to one of 4 Beachfront Bures to enjoy all that and more! Set in front of the idyllic Vuda Beach, these stand-alone bures are perfect for 2 guests desperate for a tropical beach retreat! 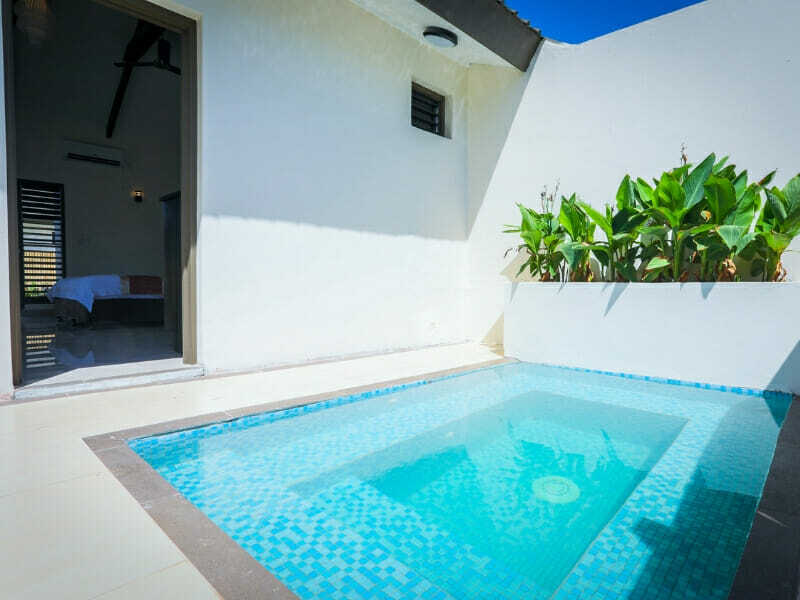 Sink into either 1 King or 2 Single beds, choose between an indoor or outdoor shower and make the most of the island-holiday vibes in your very own, secluded plunge pool! 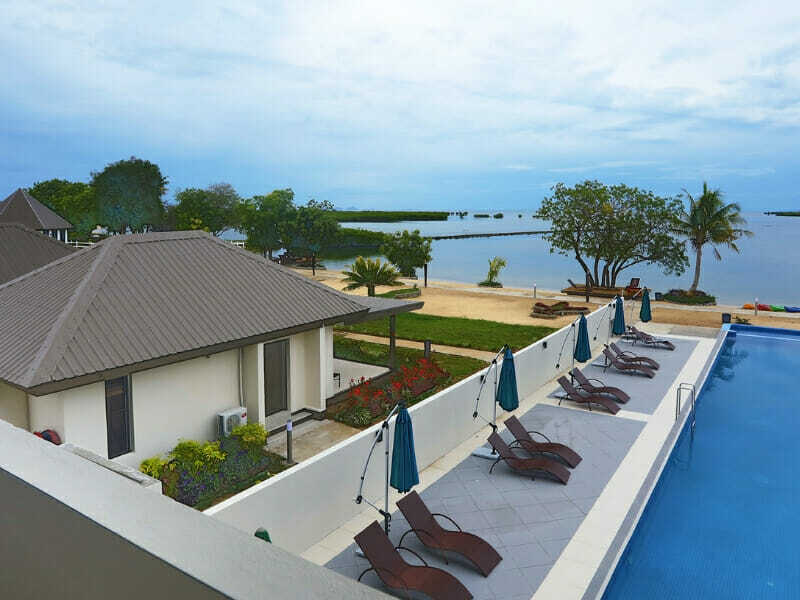 Beachfront Bures are air-conditioned for your comfort, have WiFi access and more. They can accommodate up to 2 guests. Embrace adults-only tranquility in a place like no other! 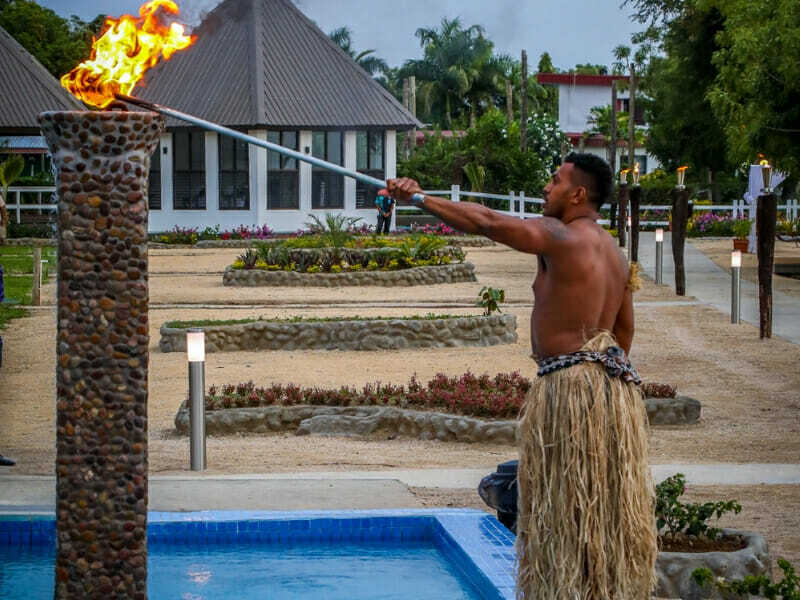 Fiji Hideaway Resort & Spa, Vuda is set in a prime position on Viti Levu’s stunning Heritage Coast. Guests can enjoy direct Vuda Beach access, stunning coastal views and the peace and quiet that is so essential to a relaxing retreat. 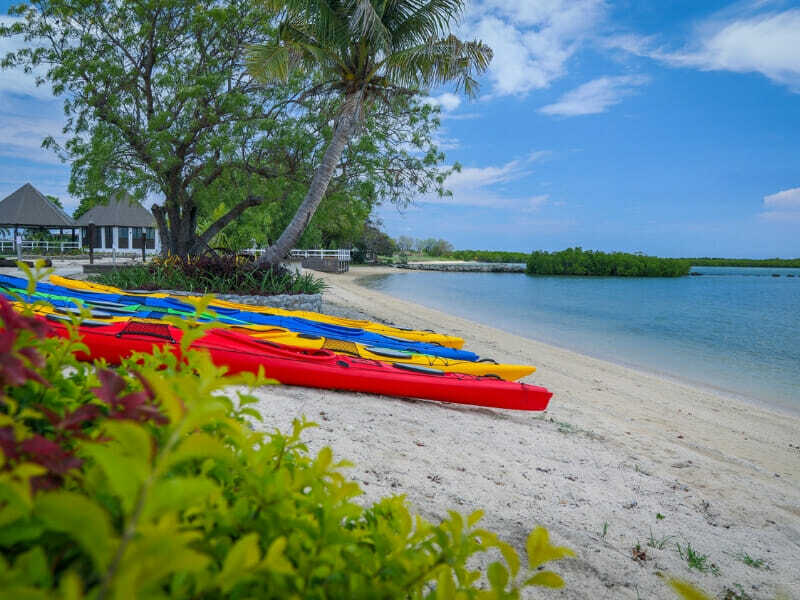 The resort is the sister of popular Coral Coast icon, Fiji Hideaway Resort & Spa. 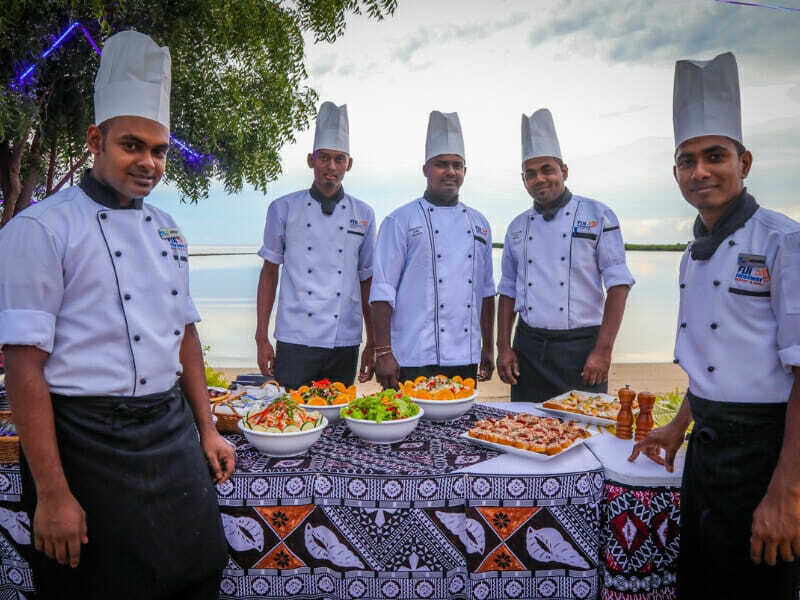 Set, instead, north of Nadi, this resort boasts the same Hideaway charm with an added touch of serenity. Spend your days at the swim-up bar, in the day spa and more! 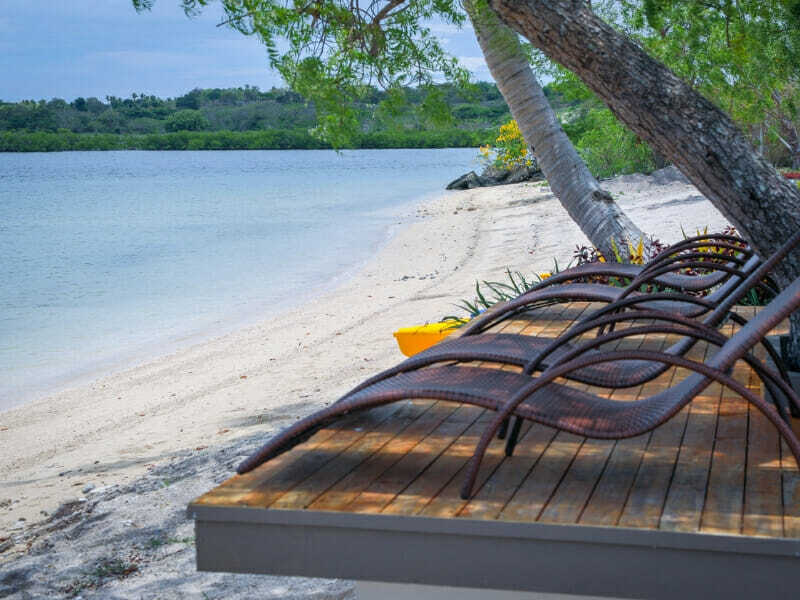 Read more about Fiji Hideaway Resort & Spa, Vuda here! PLEASE NOTE: Fiji Hideaway Resort, Vuda is an adults only resort. Children under 16 years not permitted. ^Airfares are based on promotional economy class fares with checked luggage allowance per person. Flights include 23kg of checked luggage per person. Prices are correct at time of publication and are subject to change. Flights may not be direct or operate daily. ^Flights from Perth will be via Sydney, Brisbane or Melbourne. Subject to promotional fare availability. Air surcharges apply during Australian school holidays and peak travel periods. *FJ$250 Wine, Dine & Spa Credit: This amount is to be credited to the guest’s room account on check-in which can be applied towards all food, beverage and spa teatments at the resort. WDS Credit cannot be applied towards ecternal third party serviceproviders e.g. Tours.